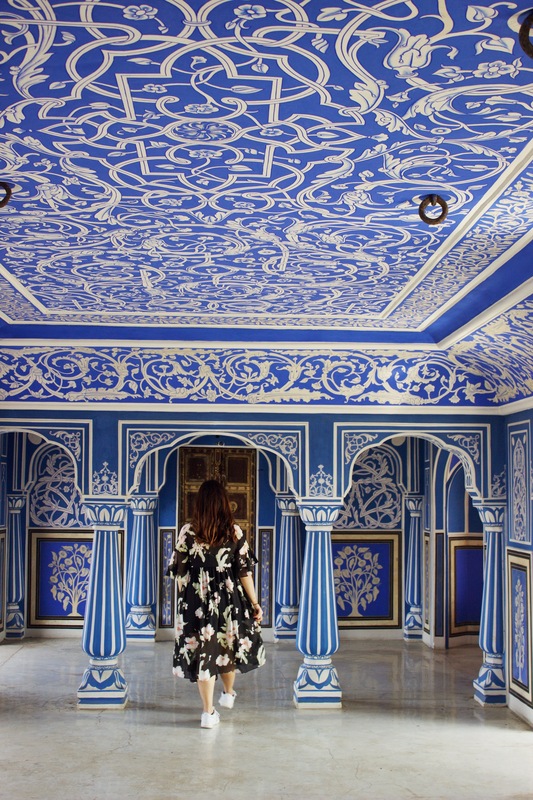 If there’s one place in India you must visit, Jaipur is the place to be. India in general has it’s own charm. From the bustling streets of Mumbai, to the beautiful architecture of the Taj Mahal, there’s so many gorgeous sights to behold in this country. Though I’ve been to India countless of times to visit my family, I’d never properly been as a tourist. It’s been 12 years since I last visited and though I was scared I would be bored, I couldn’t contain my excitement to experience India as a 22 year old. I’ve only visited a few cities in India, those being Agra, my hometown, Delhi and Mumbai, among other small villages. 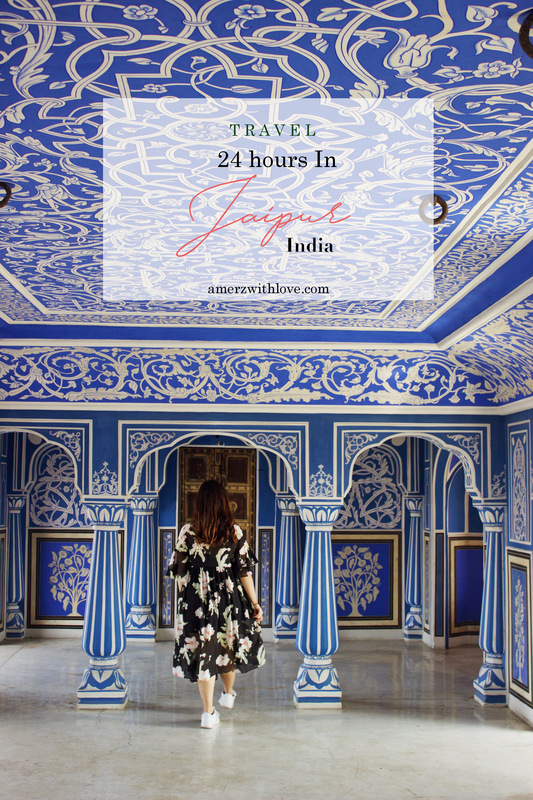 Jaipur has been high on my list of cities to visit seeing as I’d heard so much about it. The main reason for this trip to India was because one of my friends from Spain was having a destination wedding in Jaipur, hence why I really wanted to go. Technically, we were in Jaipur for 4 days, but 3 of those days were spent in our fancy hotel attending the wedding (Indian weddings go on for days, which is what I love most about them). So me and my dad put aside an extra day to visit Jaipur, before I headed off to Mumbai. 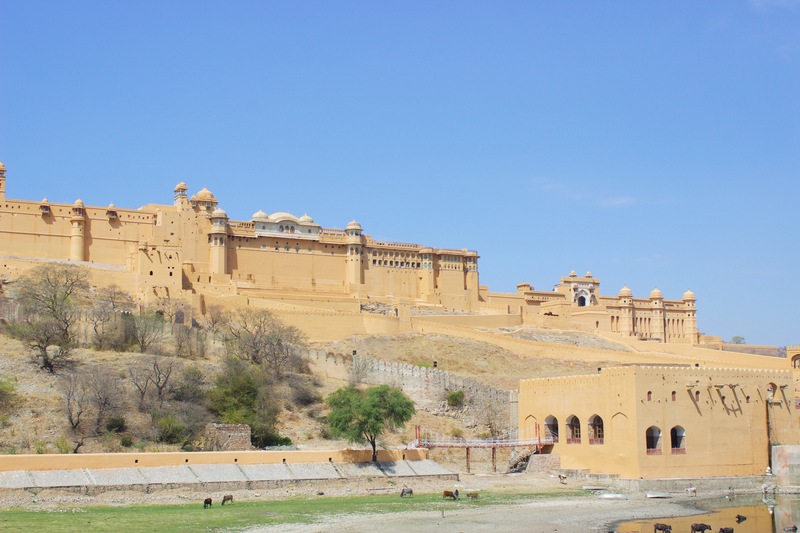 We started the day by visiting the Amer Fort, which is around 11km away from the city centre. It’s located on top of a hill, alongside the Jaigarh Fort. It looks a lot like the Great Wall of China from afar. We had a guide with us who told us all about the history of the royals at the palace. For instance, the King had a couple of mistresses each in different rooms, so they weren’t allowed to leave the place. (Barney Stinson is that you?) It was so interesting to observe the way the Royals used to live around the 16th-17th century and how times have changed now. After the Amer Fort, we headed into town onto our next destination. On our way we spotted the Jal Mahal (which translates to water palace) on the lake. 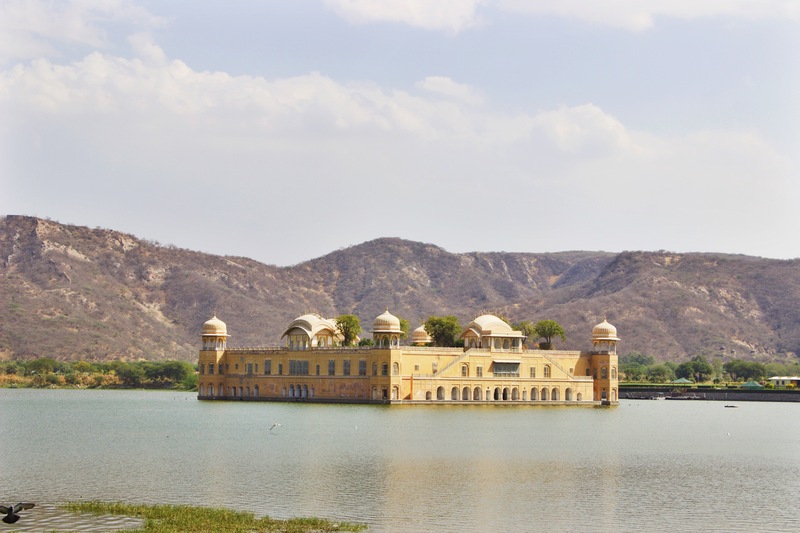 The Jal Mahal is only there for seeing purposes, as it’s in the middle of the Man Sagar Lake. 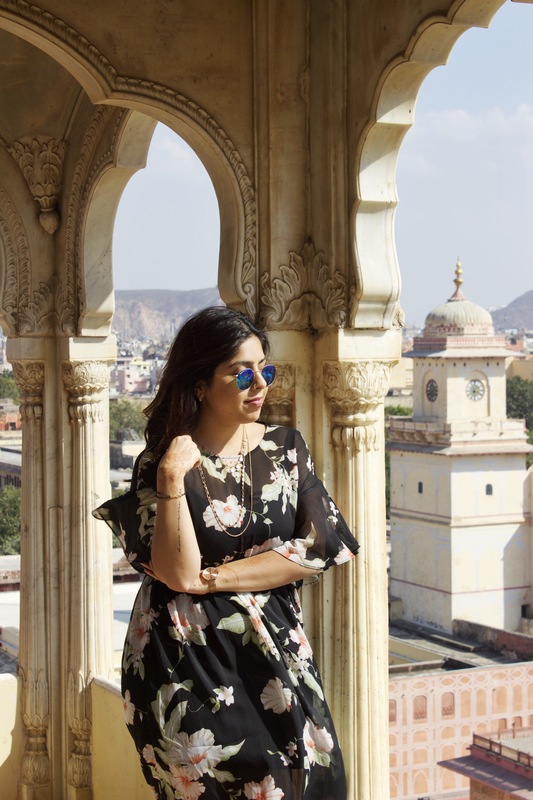 As we got to explore Jaipur, we realised why it’s known as ‘the Pink City’. One of my favourite places we visited, the City Palace is a huge complex that includes a number of galleries and beautiful gardens. If you want to visit on your own, you’re only allowed to roam around the main courtyard and gallery. But it’s highly recommended to get a guide and visit the entire palace, as there are some beautiful rooms inside and you’ll find out about the history of the palace. Next up, we visited the Jantar Mantar, which is a UNESCO World Heritage Site. 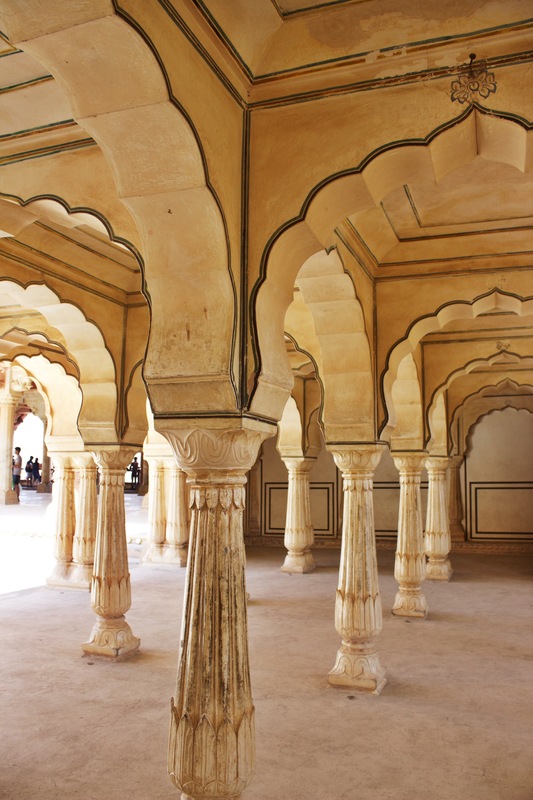 It was built by Sawai Jai Singh, who also built the City Palace and the Hawa Mahal. It’s an astronomical observation site which features one of the world’s largest stone sundial. 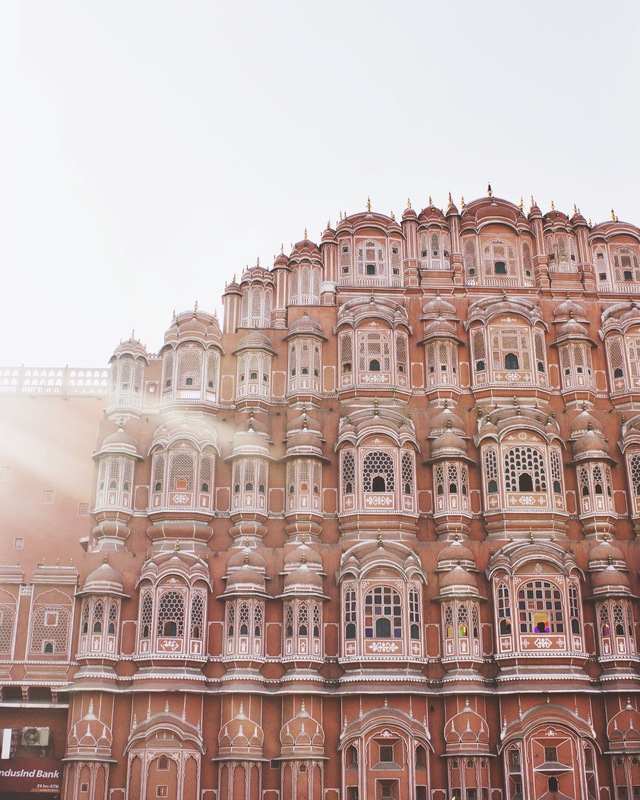 Our last top was the Hawa Mahal, which translates to ‘wind palace’. Though you can’t enter the palace, the beauty of it is mostly enjoyed outside. The best way to see it would be to go up to one of the cafés on the opposite side of the road. We didn’t get time as there was a lot of traffic but just looking at it from the street below I was in awe. Fun fact: it was built so that the royal ladies could observe the street without being seen as they weren’t allowed to go outside at that time. It’s very rare to see tourists in India. But you could tell that so many people had come from outside to admire Jaipur. It was fun to explore the beautiful city, and I would definitely recommend seeing it if you’re ever planning a trip to India. It’s better to stay in a hotel than an airbnb, as there’s security and safety. When street shopping, make sure to bargain as you can score lots of items at a very cheap price. Be careful of the street food if you’re a foreigner, as you can fall sick easily. This has happened to me a few times! Make sure to only drink bottled water. Everyone speaks great English, so don’t worry about there being a language barrier! 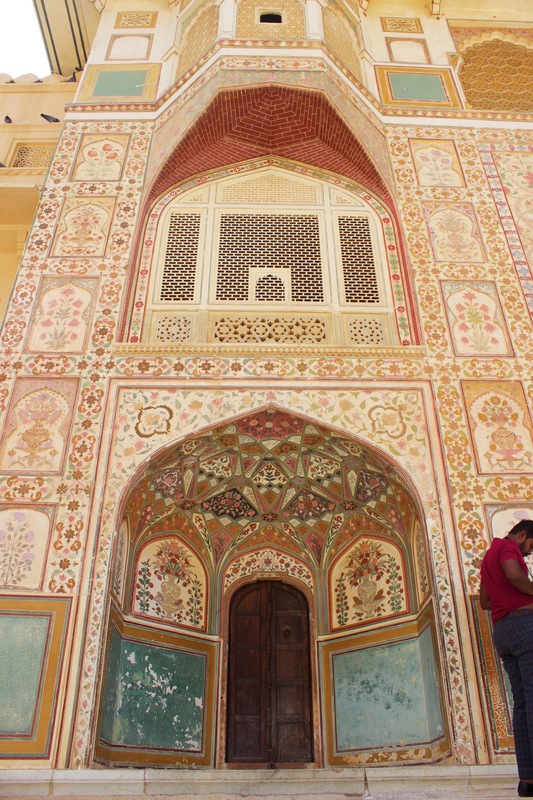 I loved Jaipur and hope to visit sometime soon again. Have you ever visited India before? Which cities have you been to?